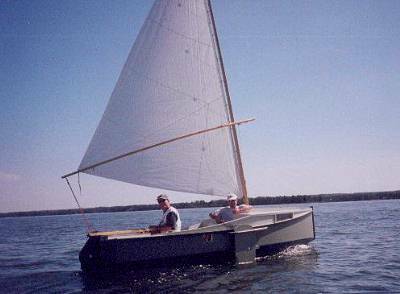 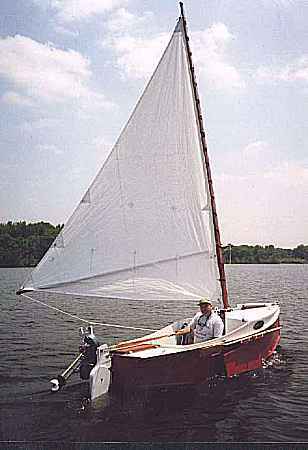 AF3 plans come with two sailplans: the original sharpie spritsail (as seen in the photo below) and a balanced lugsail option. 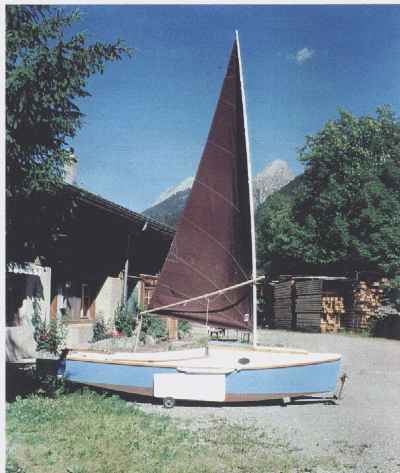 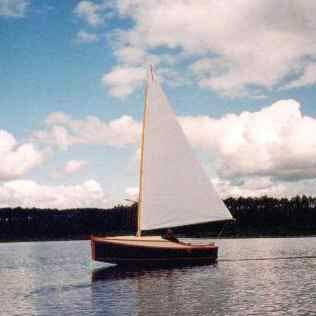 Normsboat or the 20' AF2 that you can find in the online catalog. 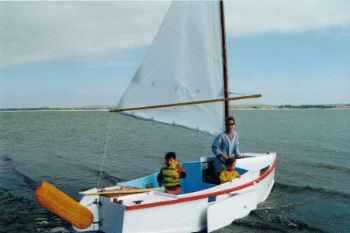 AF3 uses six sheets of 1/4" plywood and two sheets of 1/2" plywood.